By sublimation technique we provide a magnetic board with your own photo, logo, text or design. A magnetic board of ChromaLuxe has a strong magnetic action and is of very high quality. 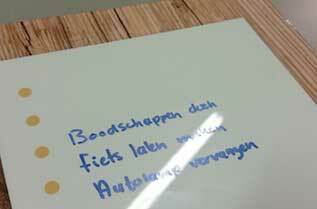 A magnetic board can also be used as a whiteboard. It can be described with white board markers. A magnetic board often makes it look boring. It is grey and rectangular. We offer the possibility to provide a magnetic board with your own image. We put the picture in the coating on the magnetic board by sublimation technique. 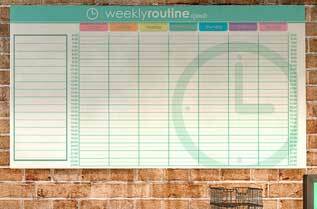 The inks are enclosed in the coating, making the magnetic board scratch-resistant and writable. Any image is possible. A nice black / white photo can also be printed. By sublimation, a picture is brought to the board in crisp and colourful detail. 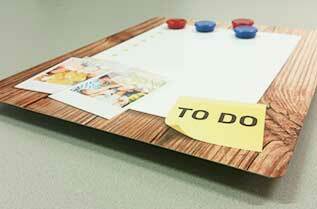 Because of the magnetic effect, you can use magnets to hang all kinds of things on the board. Nice for the office or living room. Magnetic -Confirm simply by magnetic action maps, notes, photos and agreements with magnets. Scratch and abrasion resistance - The unique coating ensures high scratch and abrasion resistance. UV-resistant - The latest UV test shows that our plates last for life and not yellowing. Chemical resistant - The chemically resistant surface can be cleaned with ammonia, bleach, acetone or all-purpose cleaner. How is a magnetic board made on aluminium? 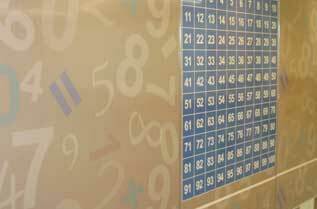 See here how we make magnetic panels using sublimation technology. The ink is applied to the metal by heating with a transfer press in the coating. Hair sharp and colourful result. 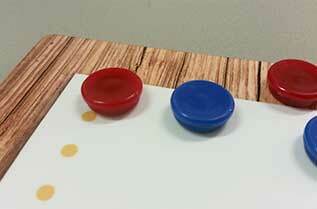 The ink is enclosed in the coating, making it scratch-resistant and colourfast. 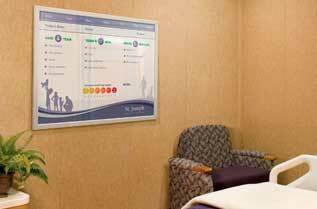 The magnetic boards have no edge finish and therefore have a very sleek and modern look. The magnetic board is equipped with a sturdy aluminium suspension system at the rear. As a result, it will hang nicely floating on the wall.